Police in France raided the offices of presidential candidate Marine Le Pen on Monday (20 February) as part of a fraud investigation. The leader of the far-right National Front is suspected of using fake EU parliament contracts to swindle the EU taxpayer out of some €340,000. A statement issued by the party claims the investigation is a media smear campaign designed to derail her presidential ambitions. "For the second time, a raid took place at the same offices, over the same allegations, which confirms that the first raid amounted to nothing," it said, referring to a previous raid last year. People working under such contracts are required to be based at the EU institution in offices located either in Brussels, Strasbourg, or Luxembourg. But according to investigators, the EU parliament money was paid to Le Pen's bodyguard Thierry Legier, who was earning over €7,200 net per month for part-time work over a three-month period. A second contract paid almost six years of salary up until 2016 for Le Pen's personal assistant Catherine Griset, who worked out of the party's offices in Nanterre, near Paris. 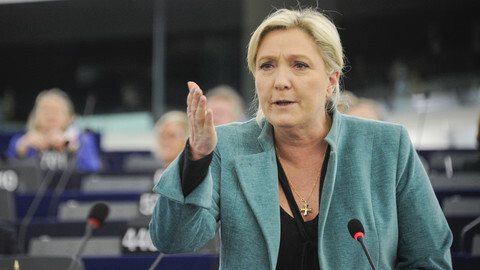 Le Pen has refused to return the sums with the EU parliament now docking half of her MEP salary. It means Le Pen will still receive around €3,000 net a month. The allegations are based on claims made by the EU's anti-fraud office, Olaf. French investigators had already raided the office in December after judges specialised in finance opened the case. The investigation into Le Pen may reveal much broader abuse. The EU parliament in 2015 said 19 assistants attached to National Front MEPs worked out of Nanterre, but Olaf could not confirm that all were unduly paid. 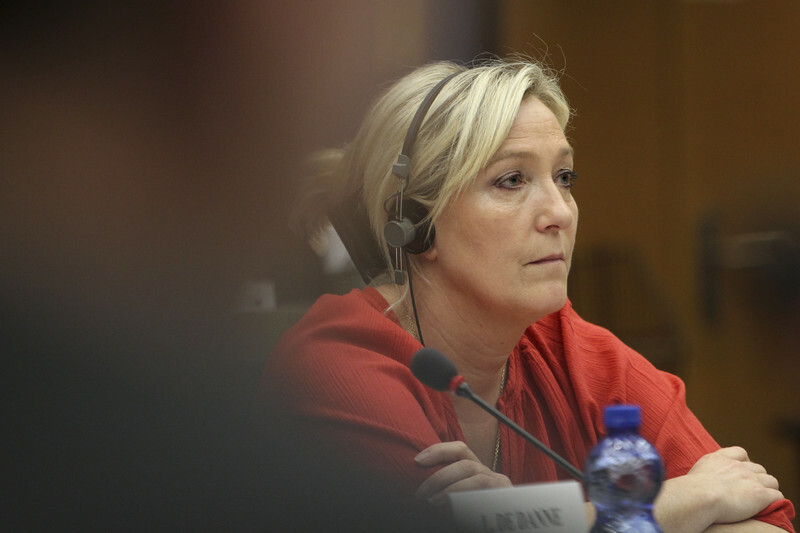 In a separate case, three other National Front MEPs, including Le Pen's estranged father Jean-Marie, have also been ordered to return some €600,000 of misused funds to the EU parliament. 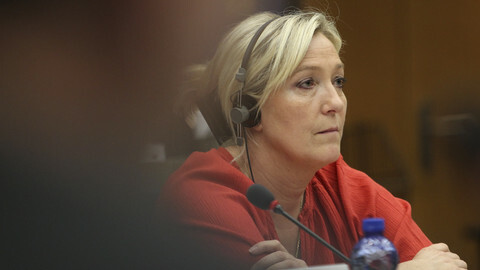 Le Pen is also vice-chair of the Europe of Nations and Freedom (ENF), a eurosceptic political faction at the European Parliament whose members include suspected fraudster Janice Atkinson. Atkinson, a British MEP, was kicked out of Ukip in 2015 over allegations she inflated her expenses. The latest probe is also likely to cast a further shadow in a presidential campaign already marred by scandals with centre-right presidential candidate Francois Fillon accused of handing fake government contracts to his wife and children. Far-right presidential hopeful Marine Le Pen has vowed to liberate France from globalisation, Islamic fundamentalism and the EU, as she hopes to produce a Trump-like win. Investigation to look at use of assistants paid by EU parliament but working in Paris, with Le Pen accusing authorities of political "persecution". 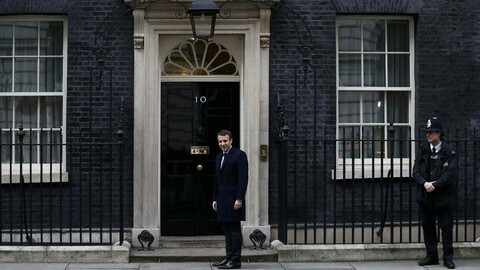 The centrist presidential candidate tells talented Britons to come to France and warns against giving the UK "undue advantages" after Brexit, in a speech in London. 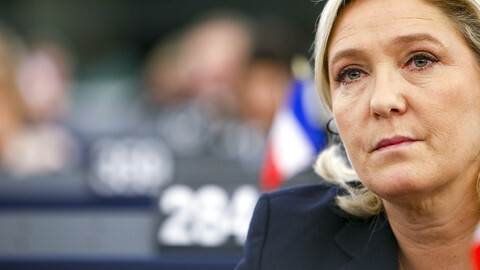 The far-right presidential candidate said that she would create a "Europe of free nations", while taking France out of Nato command and "tie up" Russia to Europe. 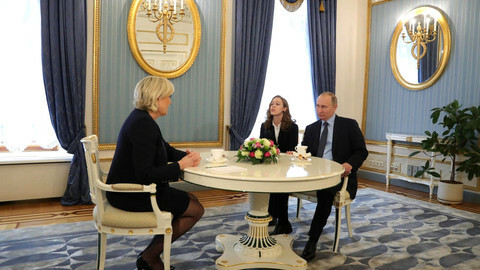 Putin treated France's anti-EU firebrand, Le Pen, as if she had already won the elections. "I have my own viewpoint ... identical to Russia's", she said.